Mark your calendars: Konami will be scaring the pants off you come this Autumn. It's been a little while since Konami released a new Silent Hill game for consoles. 2011, it turns out, will see a new, original, addition to the franchise. 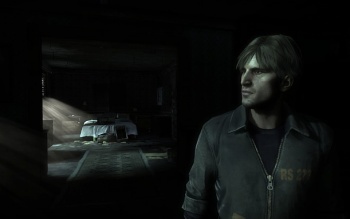 This morning, the publisher revealed Silent Hill: Downpour will launch later this year. Silent Hill: Downpour will star a character named Murphy Pendleton, who will find himself touring through the demonic town of Silent Hill. The released screenshots show how Pendleton will visit the town's diner and the "Devil's Pit", which Joystiq describes as "some kind of mountainous area with a rickety-looking ropeway train between peaks." There are also a number of images showing the town's creepy urban decay and Pendleton talking to a mailman. Of course, Konami hasn't revealed much else about the game, aside from a Fall release date in Europe. The screenshots for the game certainly look cool, but I'm reserving judgment until I get my hands on a playable demo.